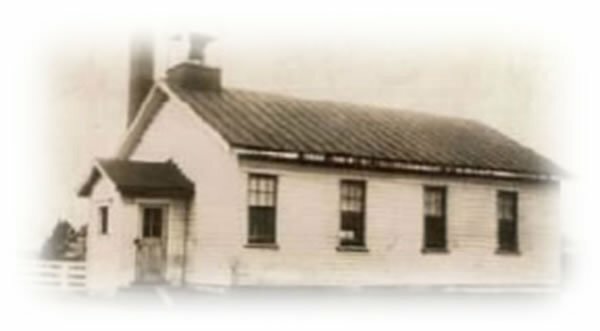 The 1800s - Students study in single room schoolhouses. 1932 - Washington Elementary is built. 1936 - Pine Elementary is constructed. Secondary students travel outside the area to attend high school. 1956- Richland Junior/Senior High opens to educate 750 students in grades 7-12. 1958- Pine & Richland Townships merge to form the Pine Richland Joint School District. 1958 - First class at Richland Junior/Senior High graduates. 1958 - Hance Elementary is constructed. 1959 - Wexford Elementary in Pine Township opens. 1960 - Pine Junior High opens after being built to accommodate the growing student body. Pine Junior High Houses Grades 7-9 and RHS accommodate grades 10-12. 1971- The school district changes its name to the Babcock School District. 1971 - Wexford Elementary is renovated. 1979 - District completes renovation of Richland Senior High. 1982- Pine Junior High becomes Pine Middle School for students in grades 6-8. RHS transitions to serve grades 9-12. 1982 - The district changes name to Pine-Richland School District to bring a sense of recognition and commonality. 1985- Pine Elementary School is sold and is now home to Stepping Stones Children's Center. 1992 -1993 - Richland High School Closes. 1993 - The newly constructed Pine-Richland High School, at 700 Warrendale Road in Pine Township opens. Pine Middle is renamed Pine-Richland Middle School. PRHS is dedicated on Nov. 13, 1993. (The same day that RHS was dedicated 35 years earlier) Crews begin a transformation on RHS as crews remodel it into Richland Elementary School. 1994 – Washington Elementary School closes. Washington Elementary is sold to St. Barnabas. 1996 - PRMS is remodeled and expanded. 1998 - District completes Wexford Elementary expansion and renovation project. 2000 - District Administrative Offices are dedicated on Oct. 23, 2000, after being moved from Ewalt Road in Richland Township to PRHS on Warrendale Road. The PRHS expansion is completed. 2001 - PRHS Stadium is constructed. Hance Elementary is dedicated after a remodeling and expansion project on October 21, 2001. 2006 - Ground is broken for a new upper elementary school to accommodate grades 4-6. 2007 - District begins a feasibility study on expanding the high school for the second time. 2008 - PRSD celebrates 50 years with a community celebration at PRHS. See the 50th video. PRSD opens Eden Hall Upper Elementary School in August 2008 and is officially dedicated on Nov. 2, 2008. Click here for a video of the dedication. 2010 - PRHS officially breaks ground in November 2010 as work begins on expanding the high school to accommodate a growing population. Click here for the groundbreaking ceremony details. 2012 - The expanded portion of PRHS opens to students featuring the STEAM (Science, Technology, Engineering, Arts, and mathematics) Center/Expansion. The newly expanded portion is dedicated in September 2012. 2018 - District celebrates 60 Years. Stadium visitor lockers and team rooms updated at the stadium.